Visit Café Kantary Bangsaen or Prachinburi, this special offer for the month of March “Deep Black Sea Spaghetti” is ready for your tasting, Soft and tender black ink spaghetti is mixed together seamlessly with sea octopus and chili sauce, then sprinkled with parmesan cheese. 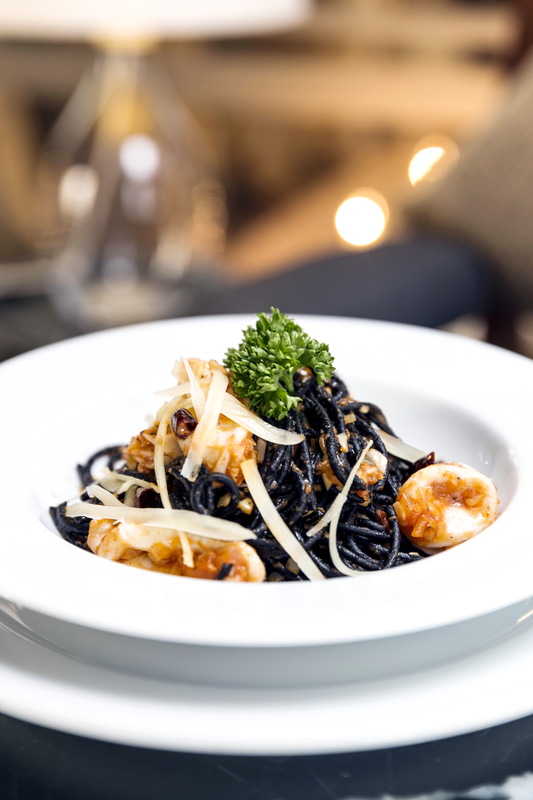 This delicious black ink spaghetti with seafood is priced for just only 195 baht. วันที่ 8 มีนาคม 2559 เวลา 12:28 น.